John A. Czepiel is professor of marketing and Stern Teaching Excellence Fellow at the Leonard N. Stern School of Business at New York University. John's Competitive Marketing Strategy course has been the most popular advanced marketing elective in the M.B.A. program for over a dozen years earning him the school's Excellence in Teaching Award. He has been named the Best Professor in Stern's top-ranked Executive M.B.A. Program in 1992, 1996, and 2000, and 2001. His prowess at teaching strategy led to his being cited in Business Week's Guide to the Best Business Schools as one of Stern's Outstanding Faculty. Professor Czepiel received his M.S. and Ph.D. degrees from Northwestern University's Kellogg School in 1972 and his B.S. degree from the Illinois Institute of Technology in 1964 where he describes himself as having been a fugitive from the engineering curriculum. Professor Czepiel's research has been published in such journals as the Journal of Marketing, Journal of Marketing Research, Journal of Retailing, Journal of the Academy of Management, California Management Review, Journal of Business Research, and in books and monographs. In addition to his text, Competitive Marketing Strategy (Prentice-Hall, 1992), he has co-edited three books, The Service Encounter (Lexington Books, 1985), Changing Marketing's Strategies in a New Economy (Bobbs-Merrill, 1977) and The Basic Marketing Course: How Should It Be Taught (American Marketing Association, 1973). He is currently immersed in a new MBA text (with Professor Avijit Ghosh) titled Competitive Marketing Management to be published by McGraw-Hill. 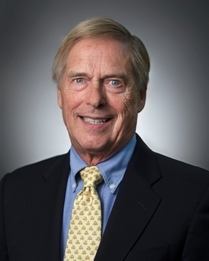 He was on the Journal of Marketing Editorial Review Board from 1977 to 1994, served on the Marketing Science Institute Services Research Steering Committee for many years and on the U.S. Commerce Department's Advisory Committee on Industrial Innovation. He is a member of the American Marketing Association, the Strategic Management Society, The Strategic Leadership Forum, the Product Development and Management Association, the Commercial Development Association, The Society of Competitive Intelligence Professionals, and the Societe de Chemie Industrielle. He is listed in Who's Who in the East. Professor Czepiel has extensive experience as a consultant and educator in industry. He has designed, directed, and lectured in programs for Aegon NV, ARCO Chemicals, AT&T Bell Labs, Bankers Trust, Bell Communications Research (Bellcore), Deutsche Morgan Grenfell, EQUATE Petrochemicals (Kuwait), GE Credit Corporation, Goldman Sachs, GTE, HAITAI Group (Korea), Johnson & Johnson Health Care Systems, Lucent Technologies, the National Productivity Board (Singapore), New York Telephone, Praxair, Prudential Portfolio Managers (UK), SBC Warburg, Signet Bank, the Society of the Plastics Industry (SPI), Union Carbide Corporation, and others domestically and overseas. He has provided expert witness testimony in antitrust and trade secrets cases and has extensive hands-on consulting experience in the analysis and formulation of competitive strategy. He is a skilled, content-knowledgeable facilitator of working meetings on strategic issues. Professor Czepiel is especially adept at penetrating complex issues, the framing of the decisions such issues require, and in designing processes for their resolution. On strategic issues he is known for his trademark motto: Fight Fair But Avoid Fair Fights.